With the Apache Tomcat app for Sumo Logic, get actionable insights from Apache log data, quickly and easily. Monitor 404 errors, Identify 404 URLs/referrers, and get alerts on “abnormal” levels of 500 errors. Optimize web resources, identify misbehaving bots, and speed up Apache response times. Effortlessly and efficiently monitor and analyze user activity for malicious actions in real-time. Your Apache Tomcat logs give you plenty of actionable insights about server configuration and web application issues. But this information is hidden within millions of log messages, which can make the analysis task unmanageable without an Apache Tomcat analyzer tool. 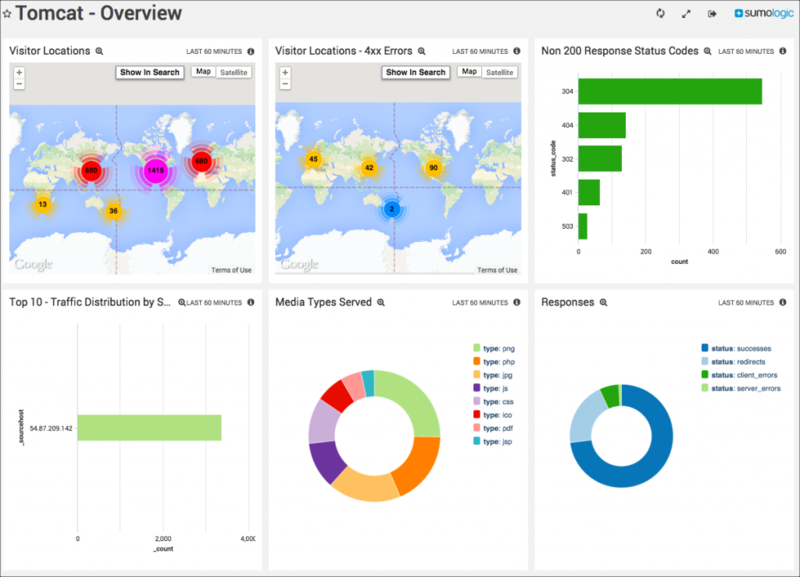 Log analytics helps you efficiently extract insights from Apache Tomcat log files so you can respond to problems before they impact your users. Tomcat log analysis revolves around two activities: monitoring and troubleshooting. 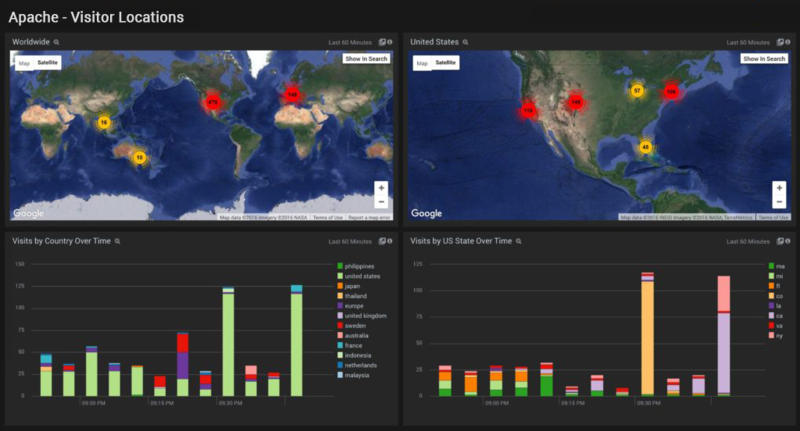 Tracking with real-time dashboards allows you to identify abnormal behavior as it’s happening. When these dashboards indicate that something has gone wrong, you need a powerful query language to dig deeper into relevant log messages. Together, the monitoring and troubleshooting features of an Apache Tomcat Log Analyzer result in faster root cause analysis, increased uptime, and fewer headaches. Apache Tomcat traffic analytics makes it easier to monitor problems in real time and troubleshoot critical issues when they occur. Real-time monitoring not only lets you know that errors are occurring, and when, but it also helps you understand why they’re occurring. Live dashboards tell you that something has gone wrong, allowing you to take the next step: looking for more specific information with custom queries. Analyzing your Tomcat environment with Sumo Logic helps you identify and troubleshoot critical Apache system errors, as well as potential malicious activity.